Creating your dream home should be one of the most exciting and rewarding experiences of your life. Viola Homes sincerely believes that your home should be a place where you enjoy spending time. 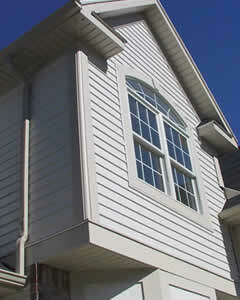 To ensure that, we construct our houses differently than other builders. A primary tenet of our homebuilding process is that our customers expect advanced home features and premium materials and labor. Those elements are standard in a Viola home  not upgrades. Low grade components and substandard construction may be cheaper in the short run, but you'll pay a dear price for as long as you own your house. With a Viola Home, you can rest assured that you will get the home you want and expect. If you do have special requirements or wishes, we offer an extensive array of options and we have the skills and experience to make your wildest dreams a reality. Cosmo Viola's motto: "do what people say cannot be done, then show them how to do it" guides Viola Homes now as much as it did forty years ago. If you want it, just ask  Viola Homes will deliver.